America's eyes were opened to police brutality when officers of the L.A.P.D. 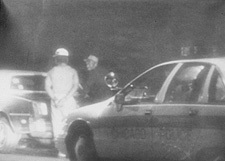 were videotaped viciously beating Rodney King. But for 20 years in Chicago, the press and authorities turned deaf ears to allegations of brutal interrogations and torture by Chicago Police Commander Jon Burge. Was this simply an aberration or an extreme example of a system wide policy of racist abuse? As victims speak out, THE END OF THE NIGHTSTICK investigates charges of institutional racism, violence and cover-up. It also tells the story of a resistance movement, as local activist groups, including the Task Force to Confront Police Violence, refuse to let testimonies of police violence remain buried. Former Black Panther Eddie Ellis' odyssey through New York State's prison system.